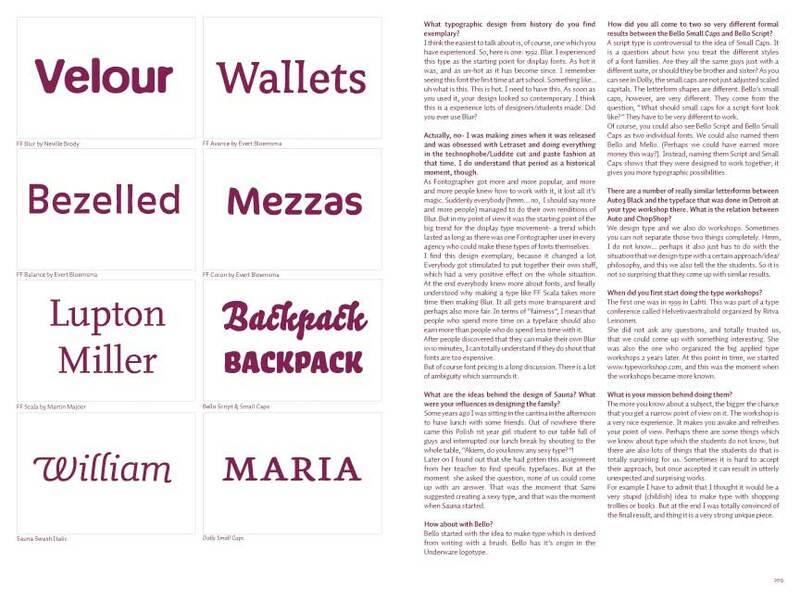 Parallel Strokes is a collection of interviews with twenty-plus contemporary typeface designers, graffiti writers, and lettering artists around the world. 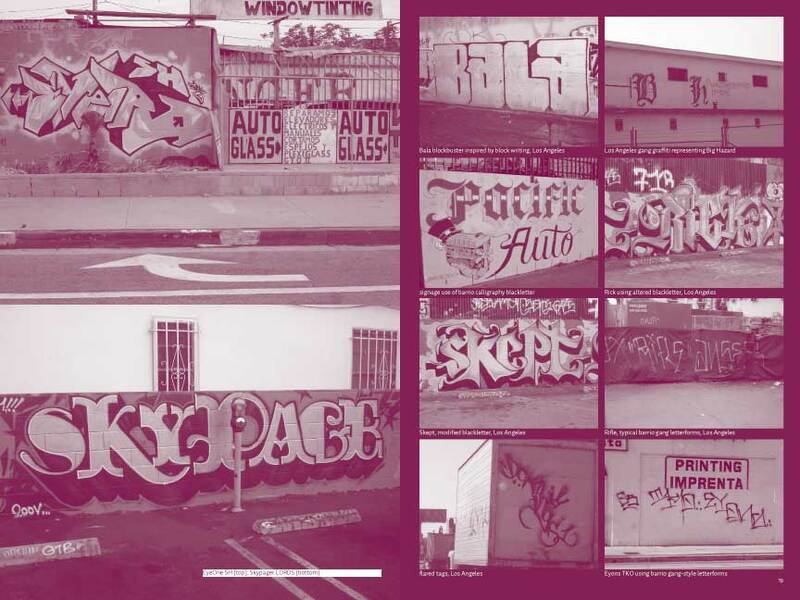 The book is introduced with a comprehensive essay charting the history of graffiti, its relation to type design, and how the two practices relate in the wider context of lettering. 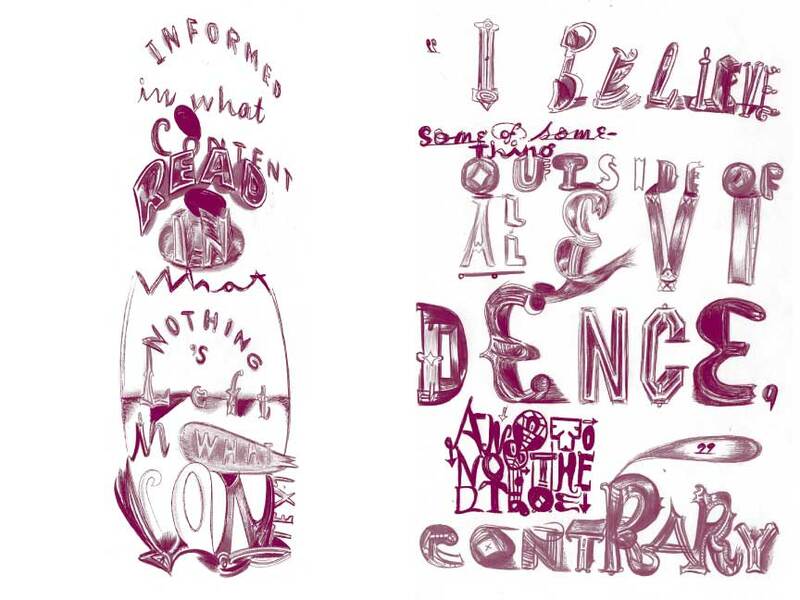 Interviews within include conversations with pan-European type design collecitve Underware, Japanese type designer Akira Kobayashi, American graffiti writer and fine artist Barry McGee/Twist, German graffiti writers Daim and Seak, American lettering artist, graphic designer and design eductor Ed Fella, among others. Parallel Strokes is an enquiry into the history, context, and development of lettering today, both culturally approved and illicit. us $25 including shipping worldwide! View sample spreads from the book here. from "There's Chocolate In My Peanut Butter"
It's a ninety-degree day in June in 2004 and I'm in the Mid-City area of Los Angeles scrubbing a sizable roman numeral XIV tag off of the front of my apartment building with steel wool. It's no fun. The paint is coming off, but so is the layer underneath. I'm quickly revealing raw stucco as I grind away the base coat of latex. I want it gone, and repeated calls to the landlord have shown that he's too lazy to come over and clean it off. My parents are flying in for a visit the next day and I'd rather they didn't see that my sublet is in gang territory, even if gang activity is almost nonexistent around my apartment. My arm is getting tired and I remember the one anti-graffiti lecture I received from my dad at age fourteen for tagging the local convenience store. Not very smart for a weirdo kid in a town whose population was just over 1000 people. Interwoven into the lecture was my dad's description of the graffiti of a Hayward, California cholo gang called Los Gusanos, their presence in that community in the 1960s, and the shadow it cast on the entire community. It was a number of years later that I actually came into visual contact with cholo gang graffiti, and when I did, it immediately reminded me of my father's description. That lecture stuck with me, even though my folks know my interest in lettering of all forms, and despite my respect for barrio graffiti letter forms, I didn't want my folks to see these marks on my building. That my father is somewhat graffiti literate, still surprises me. As for my 14 year old nephew, I'm not so surprised, as he's a full-on media junkie soaking up cable TV, internet, movies, and video games all day long in suburban Colorado. He can easily discuss tagging and piecing with me, and has a pretty sophisticated understanding of graffiti for a nonpractitioner due to exposure to the 2006 graffiti-themed video game Getting Up: Contents Under Pressure. 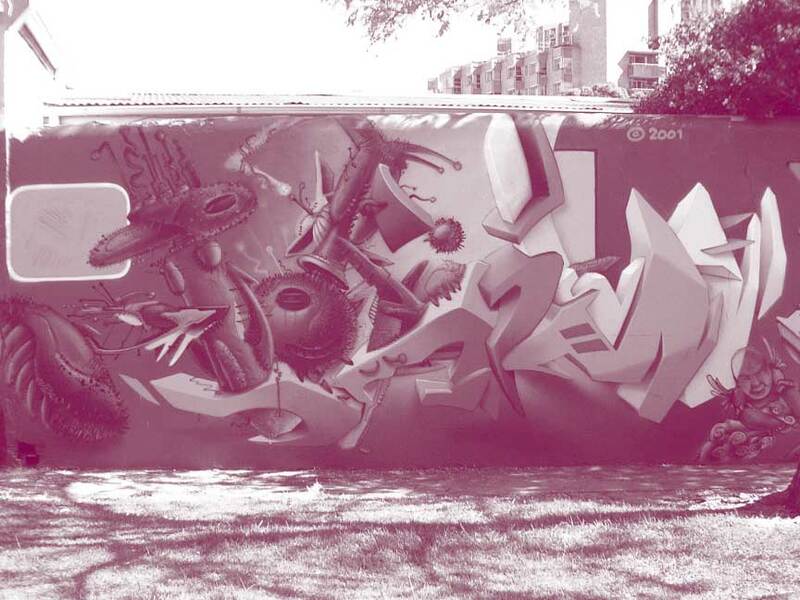 The game features a number of in-game characters based on seminal graffiti artists like Futura, Cope 2, Seen, and Smith. 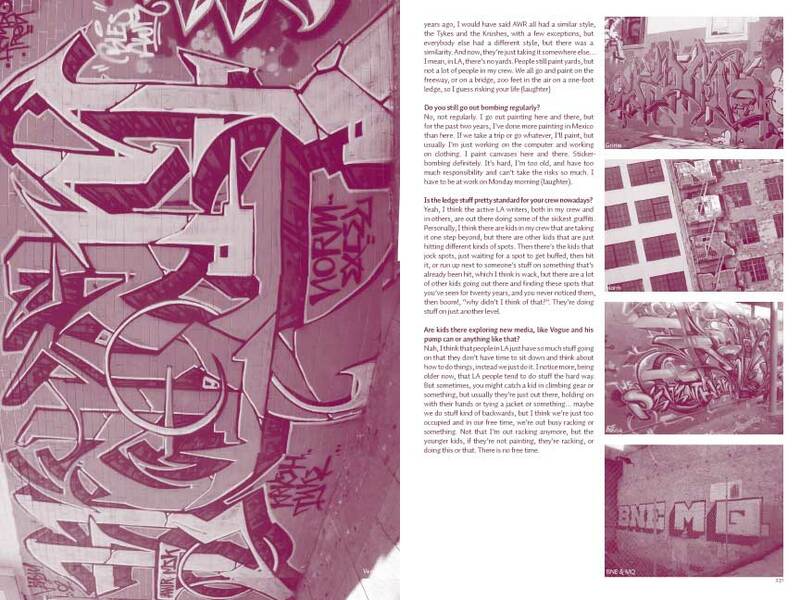 The game has pushed forward laypeople's knowledge of popular graffiti artists, contemporary terminology, and understanding of graffiti practices. As both are personal computer-users, they are both fairly typographically literate. 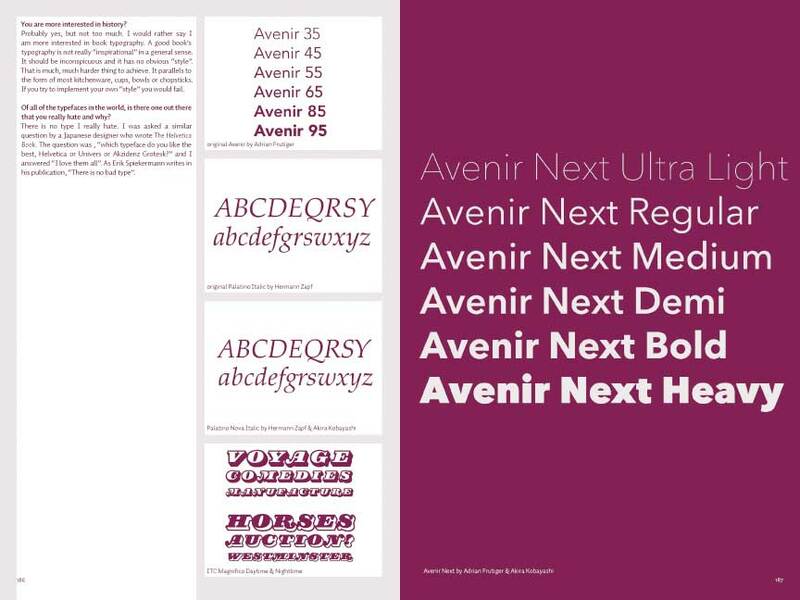 Each can tell you the difference between Times New Roman and Helvetica, as can most computer users. 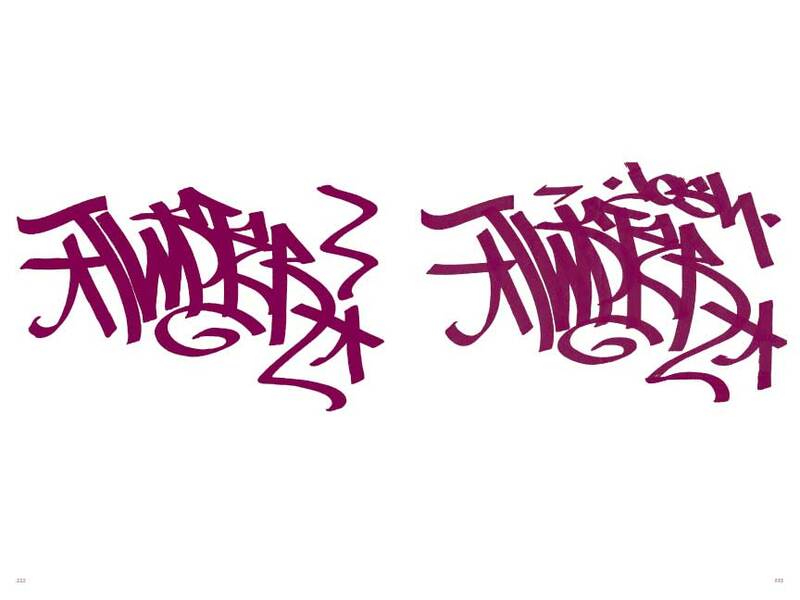 With the continued development of the internet and exposure to immense amounts of research information about subcultural histories and information, more and more people are becoming informed about formerly culturally peripheral practices like typography and graffiti with ease. While graffiti has appeal due to its illegality and excitement, typography is simply omnipresent in today's PC-steeped information society. 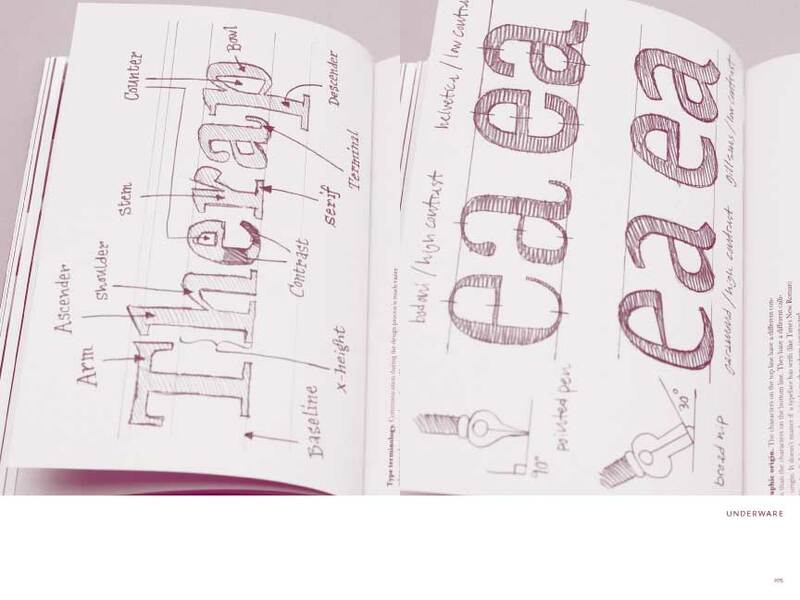 Anyone seeking to further their typographic knowledge can easily look up typography-centric websites like typographi.com and typophile.com and further their typographic understanding and know-how. If we look at graffiti and typography and study their visual commonalities as lettering, much is revealed. Writing is graphic design. This is the first line of Gerrit Noordzij's essay, The Nature of Writing, the introduction to his argument that writing is graphic in nature and reliant upon aspects of visual perception such as form, rhythm, color, shade, and composition. 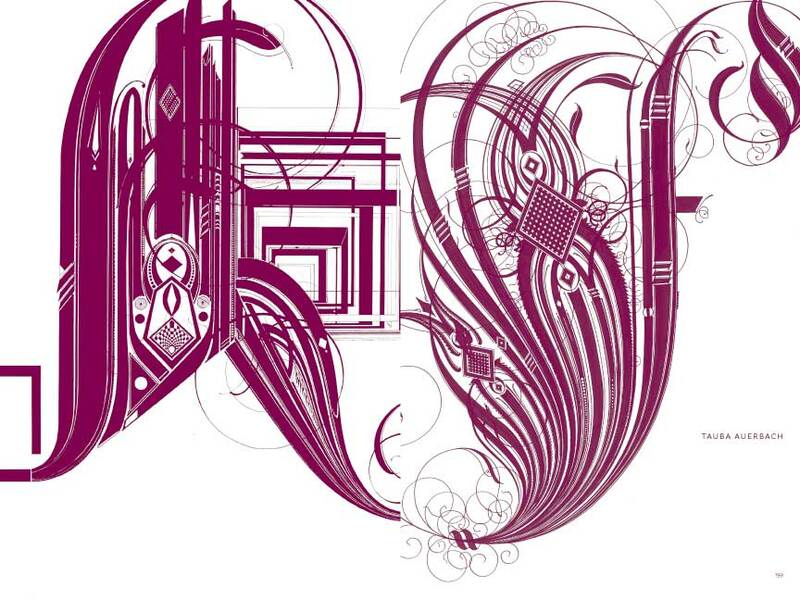 Examinations of vernacular lettering have explored the visual and semantic importance of our most common surroundings. In doing so, graffiti was often noted, but had rarely been critically assessed in design writing within the last thirty years. 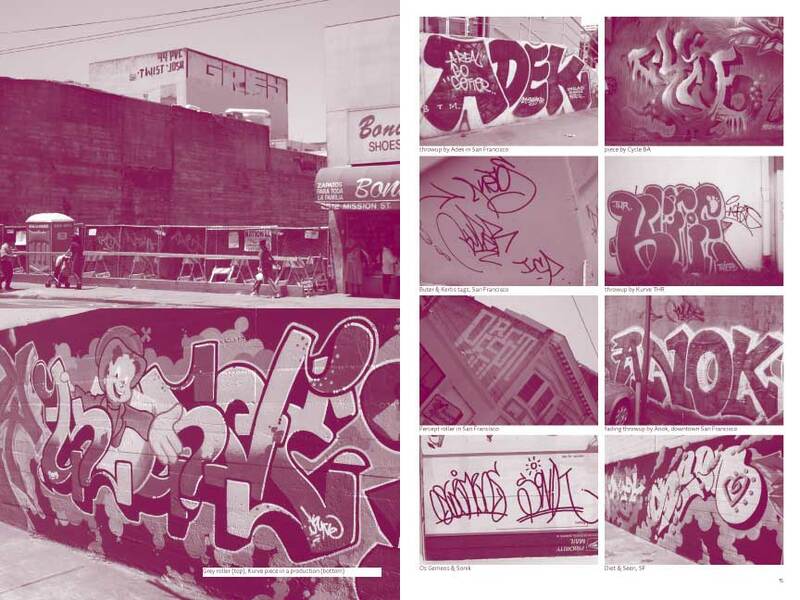 Perhaps deemed too transgressive, too immature, or too inaccessible to design culture at large, graffiti had consistently been treated as kids' stuff. 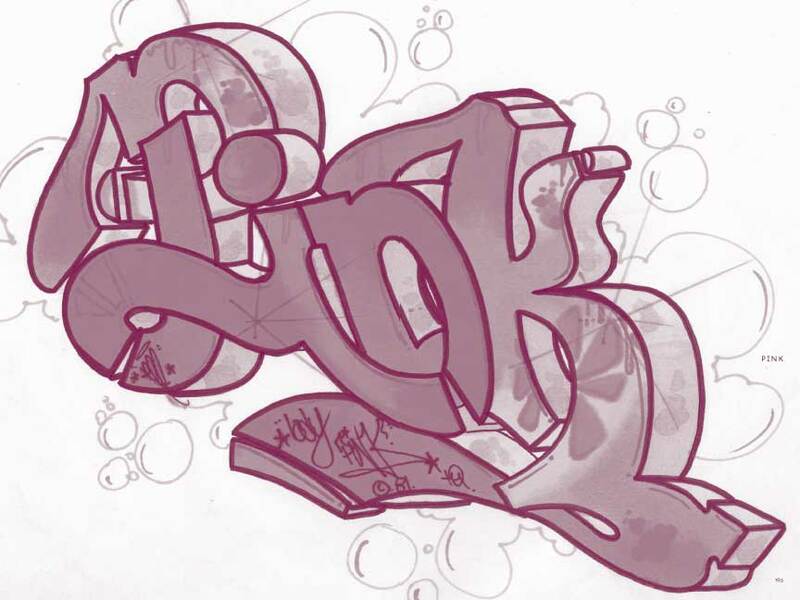 As graffiti matured and diversified, more and more of it's aesthetics seeped into graphic design, and it gained acceptance in the popular culture at large. 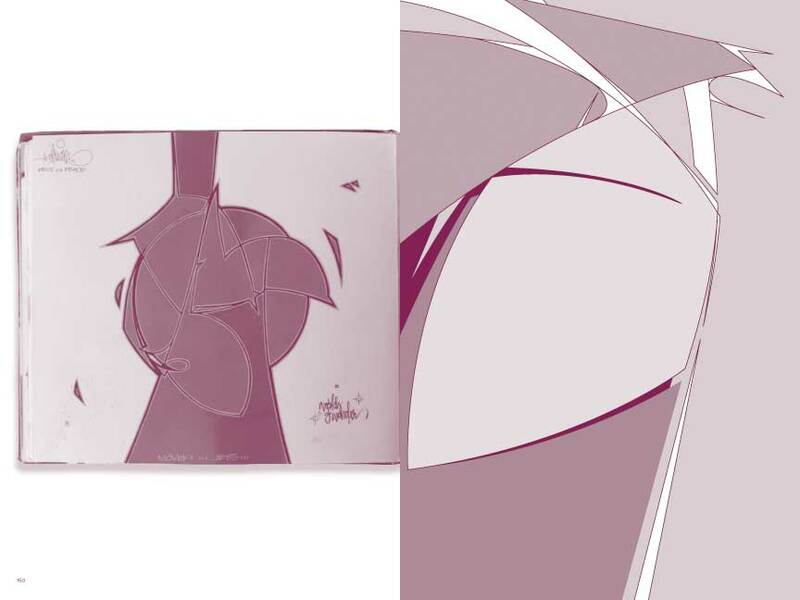 Now comfortably in its fourth decade as a contemporary mode of communication graffiti is regularly celebrated and canonized in the many books and graphic design magazines that come out almost daily. Beyond aesthetic fashion and sub-cultural trends, graffiti and design, specifically typography, share a common ancestry in the written word. 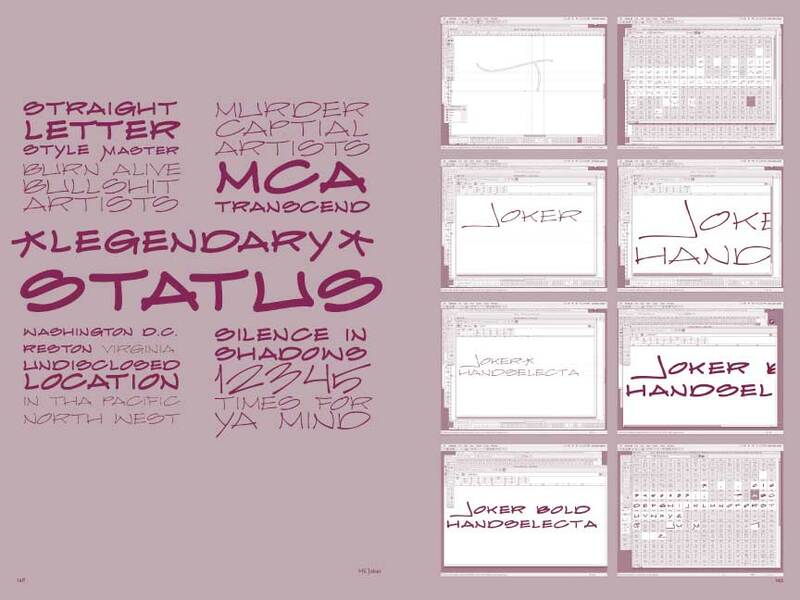 The result of a six years of research in the combined arts of lettering, graffiti, and typeface design, Parallel Strokes is a collection of interviews some of the best letterform creators in the world today. Chaz Bojorquez talks about the origins of barrio graffiti in Los Angeles and the evolution of the craft. Fellow Angeleno, vernacular graphic designer Ed Fella, speaks about his history in lettering and how he earned the title “The King of Zing” in Detroit design and illustration circles. 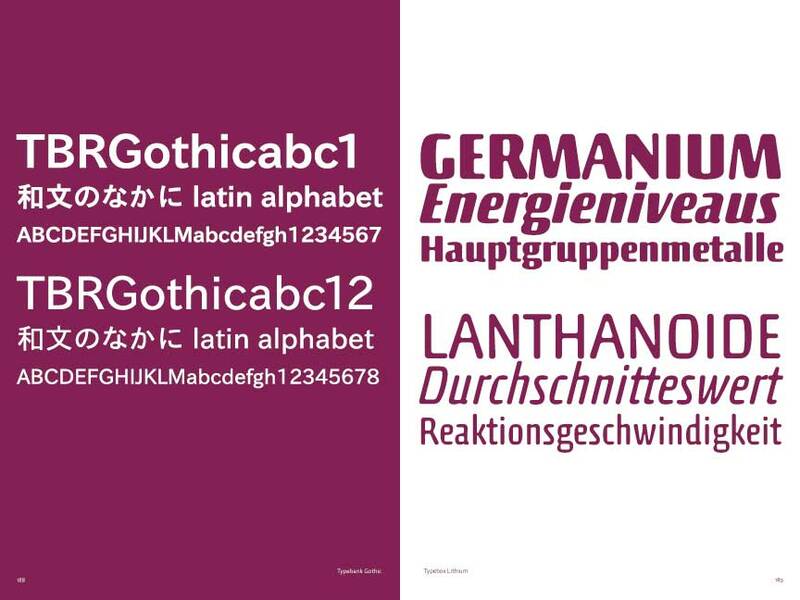 Famed Japanese type designer Akira Kobayashi discusses Roman and Japanese letterforms while showcasing a lifetime of type design work. European graffiti writers Daim, Seak, and Delta share their thoughts on dimensional graffiti lettering while American graffiti writer Mike Giant talks about vernacular lettering, typeface design, and the evolution of graffiti handstyles. 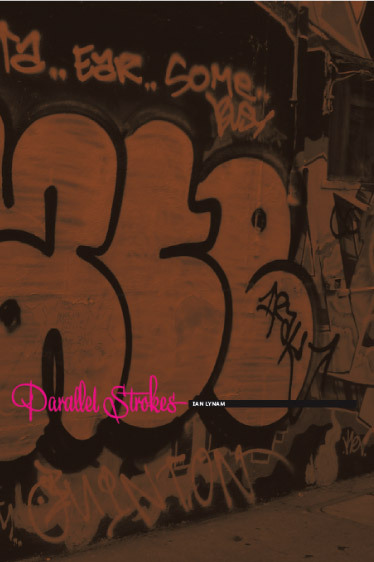 Parallel Strokes is richly illustrated throughout, featuring copious previously unpublished work by the interviewed artists, as well as supplementary illustrations and photographs detailing contemporary and historical trends in graffiti and type design. Download a sample pdf of select pages along with the excerpted introductory essay. 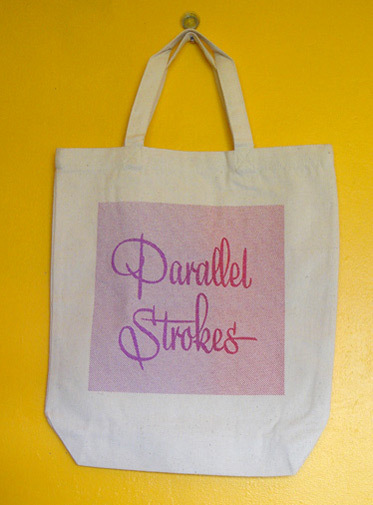 Buy 2 copies, get a Parallel Strokes totebag! Canvas totebag screenprinted in a 2 color gradient. US $50 including shipping worldwide! After cutting his teeth writing music reviews for weeklies in New York and a decade-plus span editing and self-publishing zines in California and Oregon, Ian Lynam jumped ship and opened a multi-disciplinary design studio in Tokyo, Japan. Previously, he had spent years working in print shops learning the intricacies of presswork and logged time as a designer and art director for some of the top design firms and advertising agencies in the U.S.
His writing has been published in Font Magazine, Art in America, PingMag, and Plazm. Lynam’s work has been featured in numerous graphic design books and magazines including Territory, Grafik, One Hundred at 360, and Ten Essential Typefaces for a Lifetime. 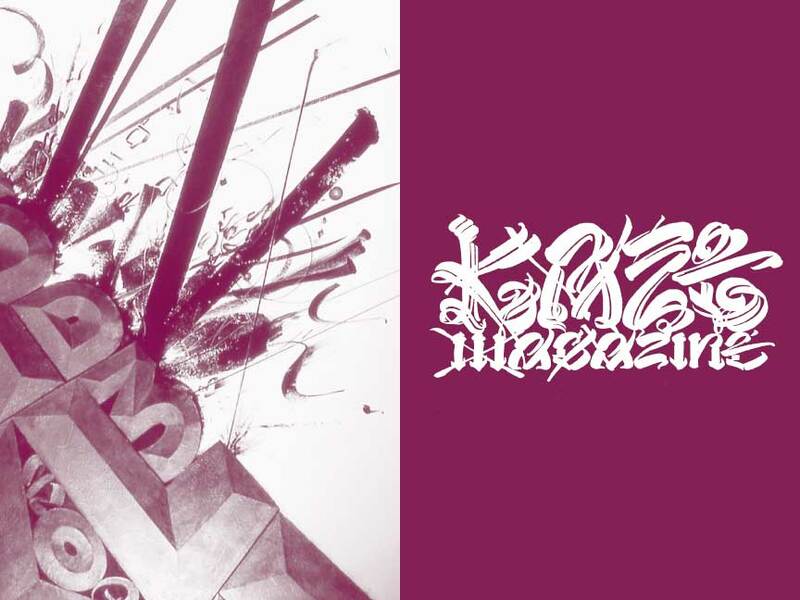 He is the design editor and art director of the Japan-focused cultural journal Néojaponisme. His studio focuses on pan-cultural identity design, motion graphics, editorial design, and apparel graphics. The studio client roster includes heavy hitters such as MTV, Nike, NEC, VH1, and the dubious honor of having designed for MC Hammer. He is a graduate of Portland State University (B.S., Graphic Design) and California Institute of the Arts (M.F.A. Graphic Design). Ian Lynam is available for interviews. Contact for coordination.